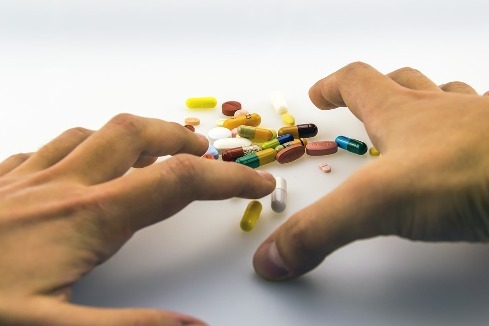 Addiction is something that can tear a family apart, even if one member of the family is inflicted with drug addiction, every other member will feel the effects of it for many reasons. Going about the right way to get your loved one help is very important, it’s also important you understand what your role in the whole ordeal is, here is some advice on how to go about getting a family member help who needs it. Addiction is complex, most people even call it a disease (if you disagree that’s okay) but it is often misunderstood. Many are under the belief that the addict just needs to stop using drugs and need to see what drugs have done for their life. If it were that simple many more people would get clean from drugs much sooner. Addiction is something that centers in the mind, it nearly controls the mind and tells the person afflicted with it to go get more drugs no matter what. This is something the family members must first understand and acknowledge. Often, addicts are begged to stop from their family and the addict will promise to stop and then soon break that promise and the family will take it personally. The scary thing is that when they promised to stop they meant it but their addict mind is so powerful it had them go get high afterwards anyways. There is plenty to read about understanding addiction, I would start with this guide here. Let’s say you confront your loved one about getting help and they say they want the help! Great! We want to make sure we have a plan first. Do some research on inpatient treatment in your area, there are also places that offer free treatment you just need to seek those out in your area. Whatever you do just make sure you have a plan for them and can execute it when necessary. There is a good chance confronting them will not go well, most addicts get defensive when they are asked about very personal problems they are having with their addiction. As I said before, never take it personally if they get angry and raise their voice at you. Remind yourself that you are trying to save their lives and are willing to do anything to save them. The single most important thing to acknowledge with someone who has addiction is that they have to want to get clean more than anyone else wants them to. Meaning, you can focus all your attention and time on trying to help them get clean and fail every time, completely forgetting to do anything for yourself. No matter how much you try and want for a loved one to get clean, they need to want it even more. Many family members get so caught up trying to help out that they lay aside anything positive for themselves. Sometimes the best thing to do is let go of your loved one to let them hit a bottom and see that they need help desperately. Continuing to help them and support them will do everything except get them to see they need help, once they are out of options they usually are all for going to get help. This is the hardest part of being related to someone with addiction, detaching with love. I suggest reading plenty on it as it is a very complex but important issue.